A traditional industry surviving thousands of years, local milk production’s ability to support Sri Lanka’s economic development and children’s nutritional needs has always been known. 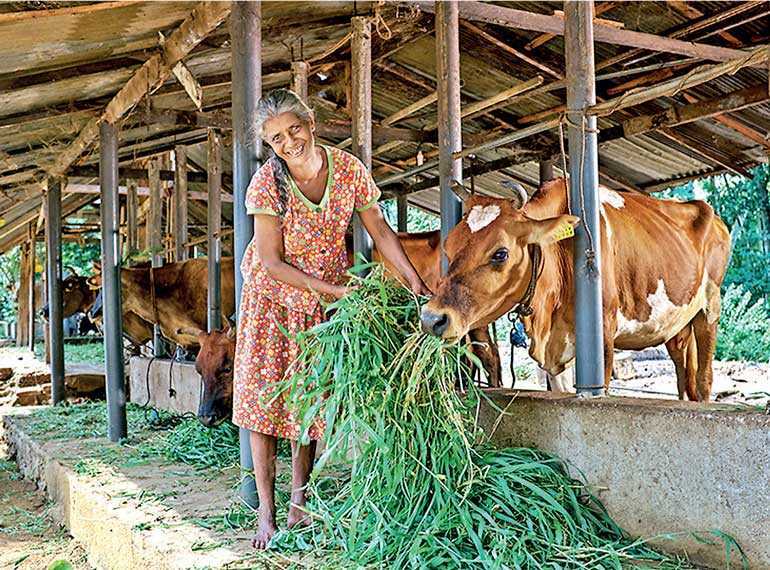 At the heart of driving the local dairy industry are Sri Lanka’s smallholder farmers, i.e., small farms that are run almost completely by families. Sri Lanka’s dairy industry however is still an emerging one, where supply does not meet demand. To increase the yield and quality of local milk, Nestlé began working with the Government and local farmers in the 1980s to implement its milk-district model and develop the industry. The company today provides approximately 20,000 farmers with regular training programmes, technical and microfinancing assistance, mobile veterinary clinics, milk churns and other resources. It has also invested considerably in establishing essential infrastructure for dairy farmers, such as milk collection points and chilling centres (which keeps the milk fresh), to provide them a secure route to market. Nestlé’s work not only enables it to source local milk of very high quality, providing consumers a range of high-quality nutritious products made with local milk, but also offers smallholder farmers like Bandara Menike a lifeline in growing their business and supporting their families. Bandara Menike and her husband started dairy farming in the late 1980s, as a way of earning a living when employment opportunities in the country were scarce. “The country was at war and my husband couldn’t find a job anywhere,” says Bandara Menike, who lives in a remote village in the outskirts of the Rambukkana town. “So to secure a steady income, we both started dairy farming.” But in 2005, when her husband was taken ill, Menike took over sole responsibility for their business. In addition to providing financial aid and technical support, Nestlé encouraged Menike to farm more sustainably. She now converts cow waste into biogas, which is used to power both her farm and the family home. Today Menike earns Rs. 80,000 a month from the milk she supplies to Nestlé and takes quiet pride in the business she has grown. Menike has already met three presidents as well as many ministers and Government officials at events where she was awarded by Nestlé for excellence in dairy farming. Nestlé recognised her as one of the top 100 dairy farmers in the country, praising the quality and yield of her milk as well as her farm and animal management. These accolades have helped Menike to earn social recognition from her community and among her farming peers. “I was honoured and proud to receive these awards. I’m proud of the attention dairy farmers receive today. To be brought together to one place and given awards of appreciation brings great happiness to a dairy farmer. Sometimes people look down on us for being dairy farmers but initiatives like these have given our occupation value and pride,” she says. What she’s most proud of, however, is being able to afford educating her children. She hopes that her children will be able to use their education to help expand the business. She currently produces 40 litres of milk a day; some she keeps for her family, some she sells to people in her village, and the rest she sells to Nestlé. Always on the lookout for a new challenge, she has set herself the ambition to scale up her milk production to 100 litres a day.